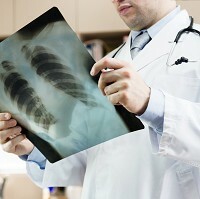 People who age slowly might face an increased risk of developing lung cancer, research suggests. Scientists from the United States analysed the telomeres - protective caps of DNA that prevent damage to chromosomes - of 110,000 people in an attempt to better understand their relationship with cancer. They found that long telomeres - a genetic hallmark of slower ageing - were significantly associated with higher rates of a specific cancer called lung adenocarcinoma. Short telomeres have previously been linked to ageing and heart disease, yet their relationship with cancer remains unclear. Telomeres shorten over time, eventually leading to cells freezing and ceasing to function. It is believed that people with long telomeres are biologically younger than those of the same age with rapidly shortening telomeres. But age is just a number - and seniors travel insurance lets over-60s enjoy trips to all four corners of the world. The study looked at the genetic data of 50,000 people with cancer and 60,000 without the disease. Scientists matched telomere length against the risk of developing breast, lung, bowel, ovarian and prostate cancer. Longer telomeres were clearly linked to higher chances of being diagnosed with lung adenocarcinoma - the risk more than doubled for every 1,000 base pair (units of DNA) increase in telomere length. One of the authors, Dr Brandon Pierce, assistant professor of public health sciences at the University of Chicago, says the study provides compelling evidence of a relationship between long telomeres and an increased risk of lung adenocarcinoma. He added that the complex relationship between telomeres and cancer risk is one that needs to be understood, and he hopes the findings could serve as a guidepost for the development of future interventions. To their surprise, the researchers found no association between shorter telomeres and cancer risk. The prevailing hypothesis had been that short telomeres are bad for health, following links to ageing and heart disease. The new study has been published by the journal Human Molecular Genetics.